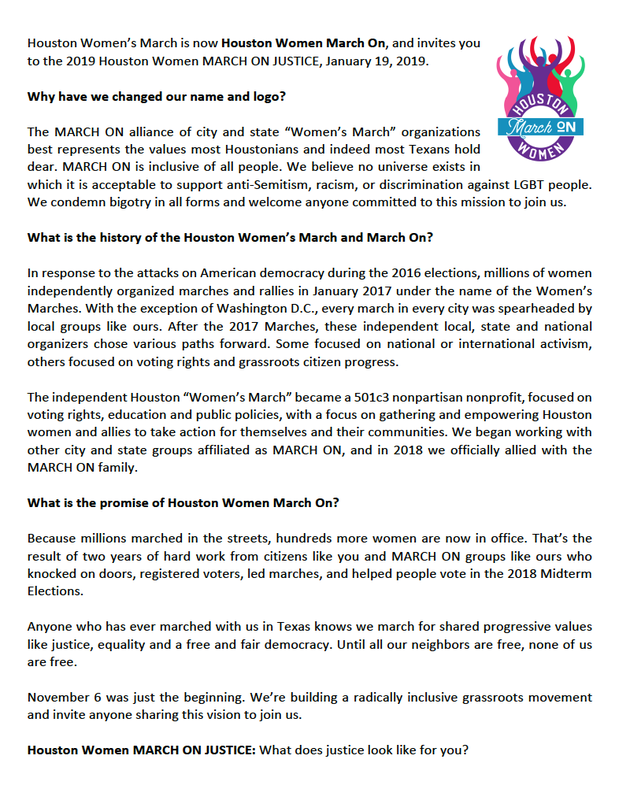 In 2018, the Houston Women’s March affiliated with the “March On” network of independent city and state organizations committed to grassroots and voter empowerment. Our new name is Houston Women March On! We are building a radically inclusive network, we reject and denounce bigotry of all kinds, and we invite anyone who is committed to this to join us. Older PostBe a Volunteer with the 2019 March For Justice!